Detailed map of Brenkenhofswalde and Franzthal, ca. 1936. Brenkenhoffswalde (also known as Brenkenhofswalde, now known as Błotnica; coordinates: 52.841944, 15.682778 [52° 50′ 31″ N, 15° 40′ 58″ E]) and Franztal (also known as Franzthal, now known as Głęboczek), villages in the Netzebruch near Driesen (Drezdenko) in Neumark, province of Brandenburg, Germany (after 1945 located in Strzelce-Drezdenko County, Lubusz Voivodeship, Poland). In 1765 Frederick the Great, who had given Councilor Brenkenhoff charge of settling the marshy Netzebruch, permitted 35 Mennonite families expelled by Polish noblemen from the Culm lowlands to settle here; of these, 16 families with 95 persons were allocated in Brenkenhoffswalde and 19 families with 97 persons in the adjacent Franztal. They at once formed the Brenkenhoffswalde Mennonite congregation, which existed until 1834. The king gave them land and furnished lumber; until 1771 they were not taxed, and by a charter drawn up by the king himself they were "completely free from military service and conscription." They belonged to the "Groninger Mennonites," or Groninger Old Flemish. This explains why they had not joined the larger Frisian congregation in the Culm lowlands at Schönsee, but had formed a congregation of their own with some scattered members at Thorn and Schwetz. They maintained contact and communion with these after they had come to Brenkenhoffswalde. According to the Dutch Naamlijsten, preachers of this congregation were Andreas Voet (Foth), Ernst Voet (Foth), Peter Jansz, Jacob Schmidt, and Peter Isaack. The history of the church offers much that is of interest. A letter written by the church board to Harm Scholtens at Groningen (Inv. Arch. Amst. dated 22 July 1766, contains interesting particulars concerning the young congregation, which had already begun to build a meetinghouse. In 1788 the Lutheran teacher Wilhelm Lange of Brenkenhoffswalde, who had been appointed to the position by the government, asked permission of the authorities to transfer to the Mennonite faith, since he had grown up and been educated among Mennonites and was inwardly bound to them. On 24 October 1788 he received permission to do so, on condition that his obligations to the state and his duties as a citizen would not suffer. Wilhelm Lange became a respected and influential member; in 1802 he was chosen preacher, and in 1810 elder, which office he still held when the congregation immigrated to Russia in 1834. In 1833 Lange had sent a petition to the Tsar of Russia in the name of 40 families of Brenkenhoffswalde and Franztal to permit their immigration into Russia after permission to emigrate had been granted in 1828 to a certain Bengs of Brenkenhoffswalde by the government in Frankfurt an der Oder. 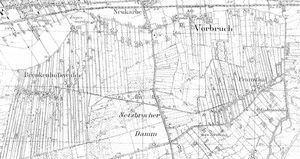 It is probably to be assumed that the Mennonites in the Netzebruch did not see any possibility of acquiring more land, and therefore turned their attention to Russia, where most of the Groninger Mennonites from Culm and Schwetz had already gone. In 1823 there had been a small remnant of these families in Przechowo (Schönau) and Konopath near Schwetz, under the preacher Jakob Ratzlaff; but these also emigrated in 1824 to Alexanderwohl and other locations in South Russia. Lange and his group received information on 10 January 1834 through the Russian consulate in Danzig, that the tsar would permit immigration on the following conditions: (1) presentation of a permit from the Prussian government to emigrate; (2) only families having at least five members would be admitted; (3) a sum of 800 rubles was to be deposited, which would be returned when they arrived. In that year the 40 families emigrated and found a hospitable reception in Alexanderwohl, but then founded the colony and church of Gnadenfeld. The Mennonite church at Brenkenhoffswalde was thereby dissolved. The few remaining joined the state church, including their teacher Peter Janz, who later became a Protestant preacher. According to information sent by Richard Schild, the teacher in Brenkenhoffswalde, to Stobbe, the teacher in Montau around 1900, there were still various reminders of the former Mennonite colony. The church, which was housed in the same building as the school, was razed after serving for a time as a Protestant chapel. The Protestant church was located in the old Mennonite churchyard, which adjoined the present school. It was marked with a wooden sign, bearing the half-legible request to walk silently in order not to disturb the rest of the dead. Old Mennonite names, naturally mutilated, continued in Brenkenhoffswalde until 1945, such as Voth, Rettslag (Retzlaff), Nackert (Rickert), etc. Hege, Christian and Christian Neff. Mennonitisches Lexikon, 4 vols. Frankfurt & Weierhof: Hege; Karlsruhe: Schneider, 1913-1967: v. I, 263. Hoop Scheffer, Jacob Gijsbert de. Inventaris der Archiefstukken berustende bij de Vereenigde Doopsgezinde Gemeente to Amsterdam, 2 vols. Amsterdam: Uitgegeven en ten geschenke aangeboden door den Kerkeraad dier Gemeente, 1883-1884: v. II, 2, No. 853. Mannhardt, H. G. "Brenkenhoffswalde and Franztal (Lubusz Voivodeship, Poland)." Global Anabaptist Mennonite Encyclopedia Online. 1953. Web. 21 Apr 2019. http://gameo.org/index.php?title=Brenkenhoffswalde_and_Franztal_(Lubusz_Voivodeship,_Poland)&oldid=144883. Mannhardt, H. G. (1953). Brenkenhoffswalde and Franztal (Lubusz Voivodeship, Poland). Global Anabaptist Mennonite Encyclopedia Online. 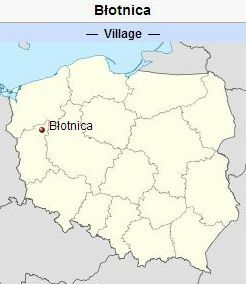 Retrieved 21 April 2019, from http://gameo.org/index.php?title=Brenkenhoffswalde_and_Franztal_(Lubusz_Voivodeship,_Poland)&oldid=144883. Adapted by permission of Herald Press, Harrisonburg, Virginia, from Mennonite Encyclopedia, Vol. 1, pp. 416-417. All rights reserved.